Wide range of exercises including dips, knee raises, chin-ups, hanging leg raise, sit-ups, and push-ups. Comfort arm rests angled for precise positioning. 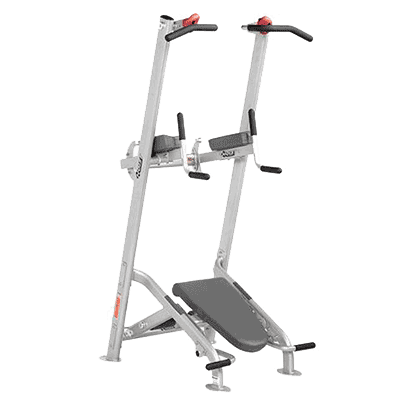 Back pad can be attached in two positions for vertical knee raises and sit-ups. 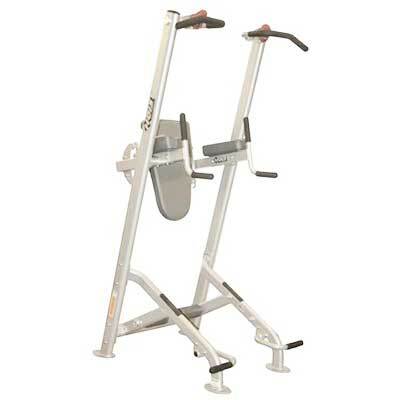 Low handles allow for footstep and push-up positions. Stable base with flared feet.